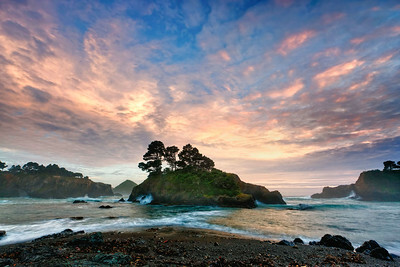 Dusk sky over Buckhorn Cove, Mendocino, California, USA. SS Palo Alto was a concrete ship built as a tanker at the end of World War I. 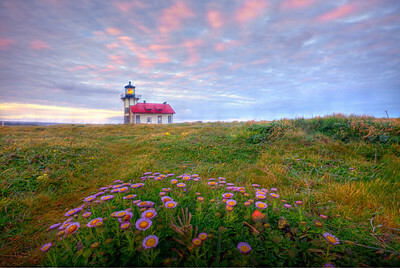 She was built by the San Francisco Shipbuilding Company at the U.S. Naval Shipyard in Oakland, California. She was launched on 29 May 1919, too late to see service in the war. 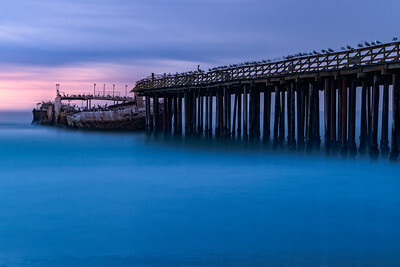 She was mothballed in Oakland until 1929, when she was bought by the Seacliff Amusement Corporation and towed to Seacliff State Beach in Aptos, California, USA. 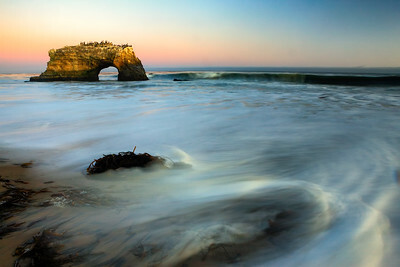 Dusk light, Panther Beach, Coast Dairies State Park, Santa Cruz, California, USA. 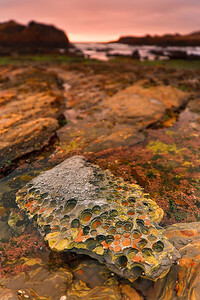 Lichen-covered rock, Weston Beach, Pt. 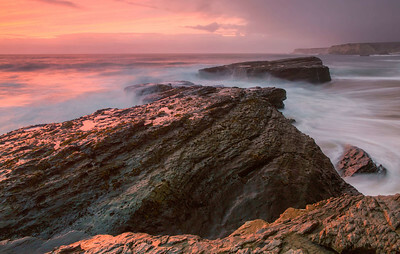 Lobos State Reserve, California, USA. Selective focusing achieved with a 24mm Tilt/Shift lens. 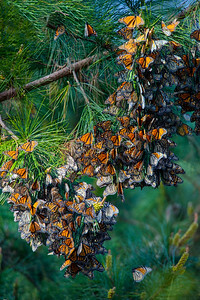 Clusters of Monarch Butterflies during their annual winter visit to Pacific Grove, California, USA. 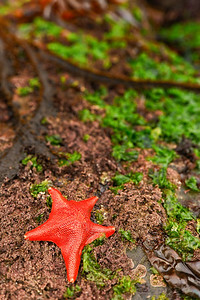 A starfish awaits the approaching tides at Weston Beach, Pt. Lobos State Reserve, California, USA. Selective sharpness the result of using a 24 mm Tilt/Shift lens. 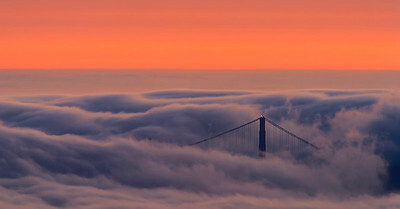 The north tower of the Golden Gate Bridge rises through thick fog at dusk, San Francisco, California, USA. 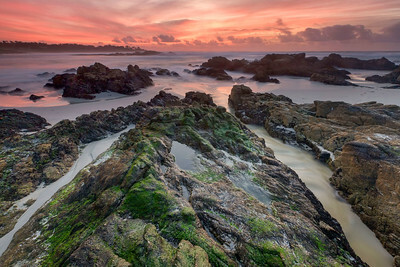 Dusk sky over Seal Rock Cove, 17-Mile-Drive, Pebble Beach, California, USA. 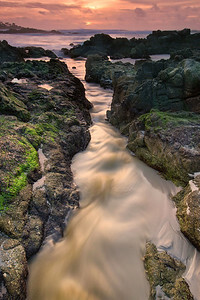 A seasonal freshwater creek races towarsds the Pacific Ocean at sunset at Seal Rock Cove, Pebble Beach, California, USA. 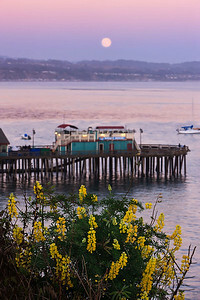 A full moon rises over Capitola Beach and Wharf, Capitola, California, USA. 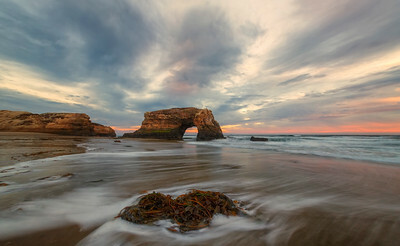 Clouds from an approaching Pacific storm catch color from the setting sun at Natural Bridges State Park, Santa Cruz, California, USA. 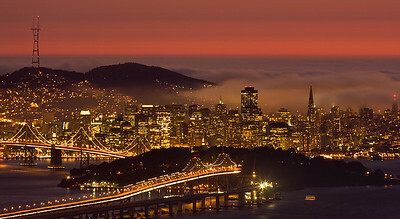 The Bay Bridge and skyline of downtown San Francisco, San Francisco, California, USA. 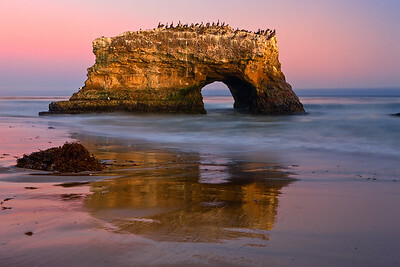 An arch stands against a twilight sky at Natural Bridges State Park, Santa Cruz, California, USA. 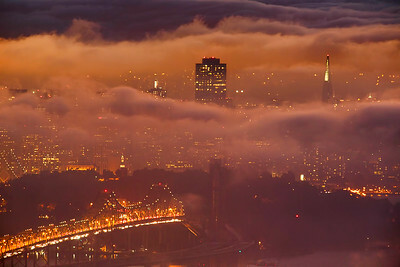 San Francisco and the Bay Bridge poke through a thick fog layer in early evening light, San Francisco, California , USA.